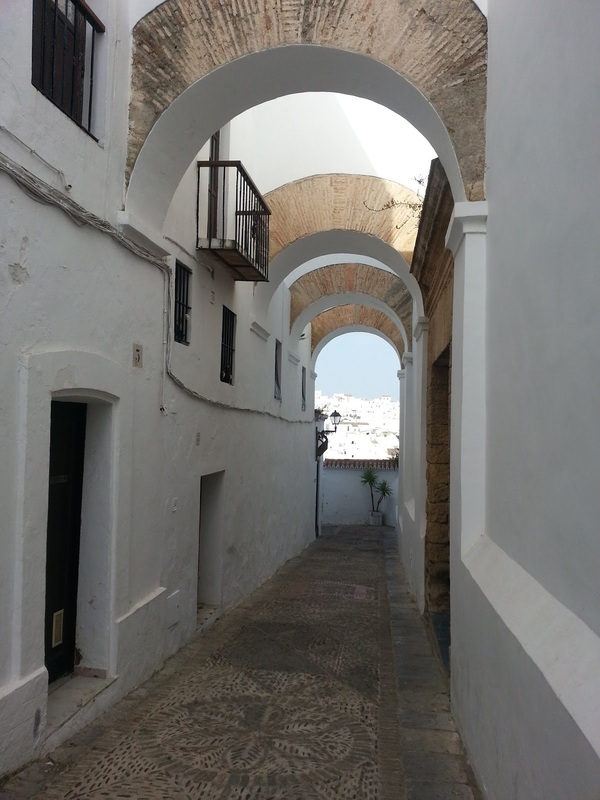 Vejer de la Frontera is another pueblo blanco (white hill town) in Andalucia. 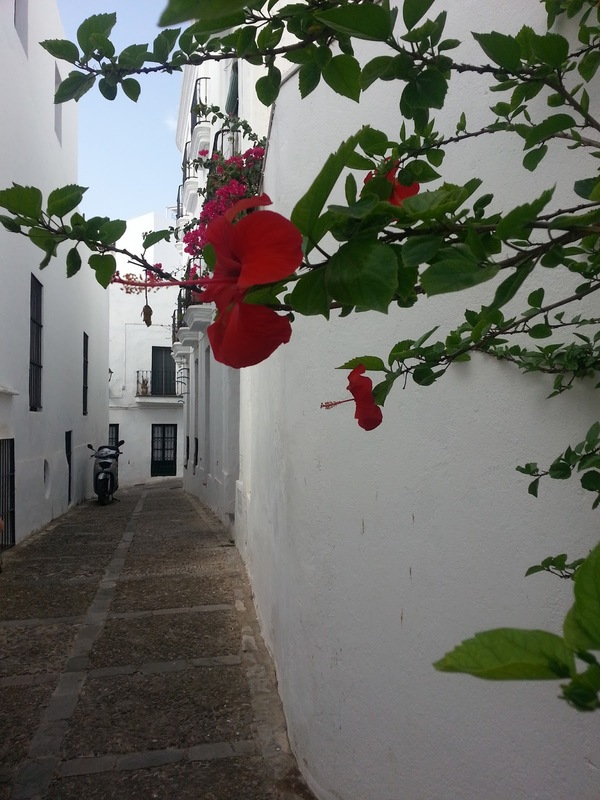 Vejer is south of Cadiz and just about forty-five minutes from our house. It is an old Moorish town that sits on a hill above the Strait of Gibraltar. Vejer has quite the charm -- the old walls mixed in with the newer buildings and houses and the gorgeous views of the Strait of Gibraltar. 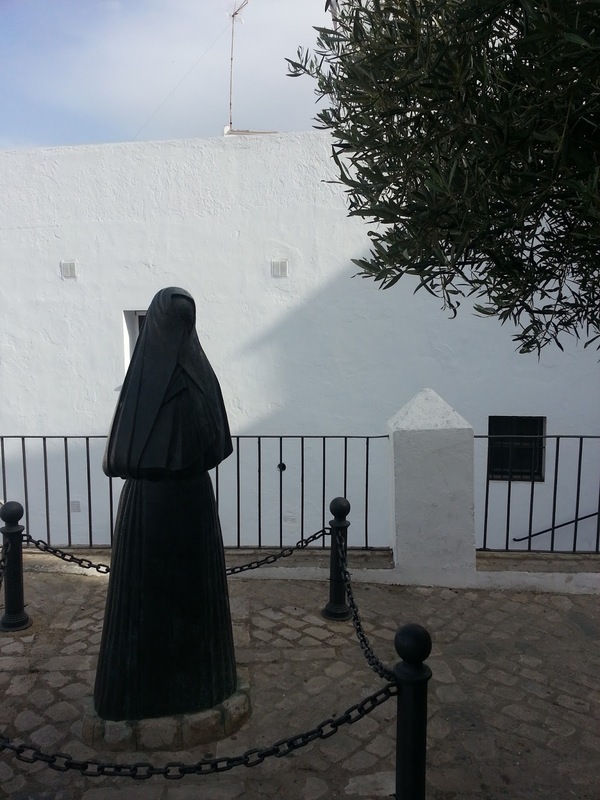 Up until the 1930s, the women of Vejer wore the cobijado which is known for a black gathered cape that covers the upper body including the head and face except for one eye. 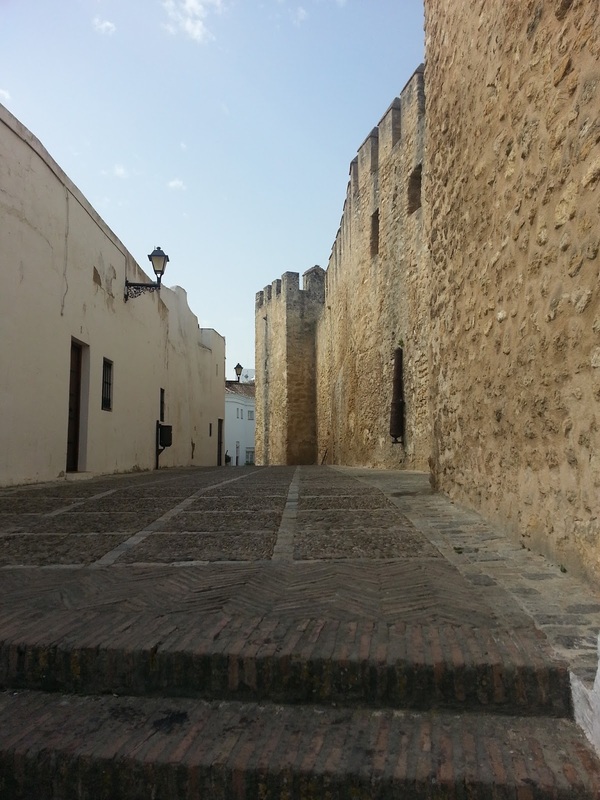 There isn't a lot "to do" in Vejer other than enjoy the atmosphere, the great views and some good restaurants. Trevor and I decided to take a day date to Vejer and we put our Peanut in daycare. We are lucky enough to have a great daycare on base -- Serafina absolutely loves it and does very well when she goes. We are so happy we chose this town to explore without our Peanut. We were able to walk around the tiny streets (maybe more like sidewalks), wander through the old walls and take in the insanely gorgeous views. And the best part -- we sat and enjoyed some Spanish breakfast and cafe con leche at a leisurely pace. It was fairly hilly so it was nice not to have to worry about Serafina walking or deal with pushing a stroller (or wearing her) up the hills! 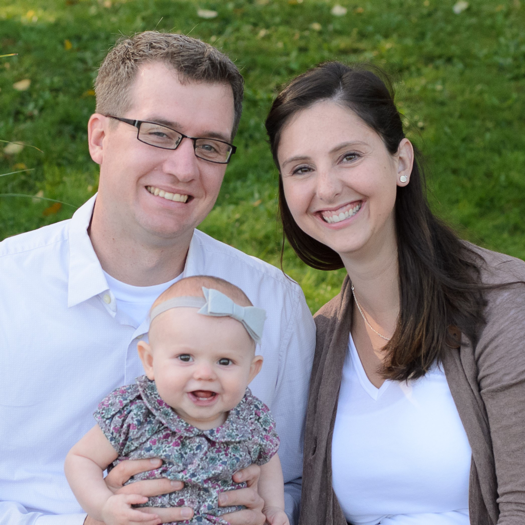 Now, we love our daughter and she is such a joy in our lives, but we both feel that it is extremely important to date your spouse and enjoy time just the two of you! So we loved our day date -- and I highly recommend taking a day trip to Vejer, preferably sans kiddos!